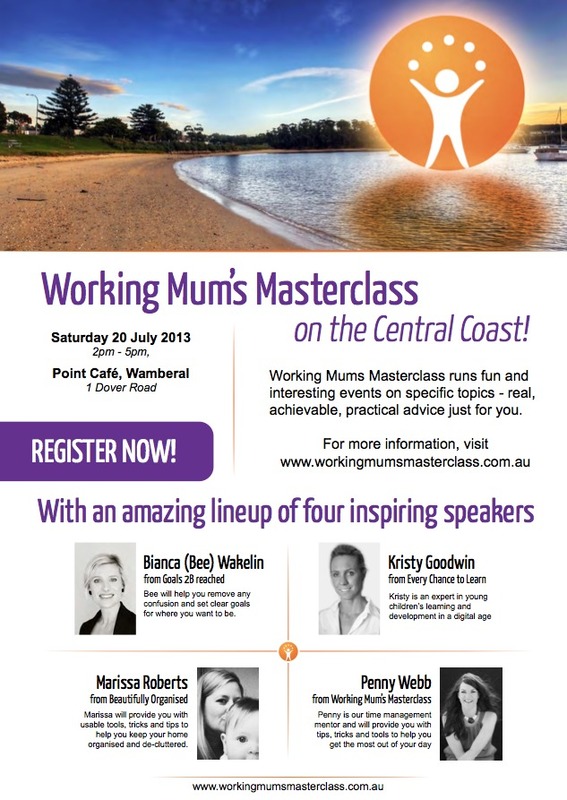 I'm so excited to be speaking at the Central Coast Working Mums Masterclass Event on July 20! I'd love to see you there. I'll be speaking about home organising and I'd love to know if you have any questions you'd like me to cover on the day! To find out more and book your seat, just visit the event page on the Working Mums Masterclass site. Don't forget to let me know you'll be there so I can come and say hi in person! Got a topic you'd like covered on the day? Comment below with your question or topic and I'll do my best to make it happen! Congratulations Marissa!!!! I am feeling so happy for you. Best of luck for your speech.